This is a documentary movie about the past of two filmmakers from Staten Island, New York. Barbara Brancaccio and Joshua Zeman grew up on Staten Island. As small children they were warned to stay away from the abandoned Willowbrook Mental Hospital. They were told a deranged patient had escaped and would steal them. This urban myth followed these two into adulthood and their film careers. These two never forget the urban myth. The eventually decided to go back home and investigate this legend. What they uncovered is shocking and surprising. There was a real threat to children and these two document it in their movie. 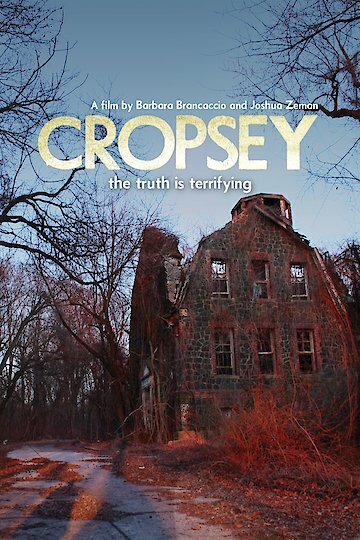 Cropsey is currently available to watch free on Tubi TV, Vudu Free and stream, download, buy on demand at Amazon Prime, Amazon, Vudu, iTunes online.